Kate changed into a new outfit and jewelry before the second engagement of the tour: a visit to Oval Maidan in Mumbai to play cricket. Anna, always quick with a jewelry ID, sleuthed out the identity of the new pair of earrings: they're the Filigree Bead Short Drop Earrings from Accessorize/Monsoon, a British high street chain that's similar to Claire's in America. The earrings reportedly retail for around £8. 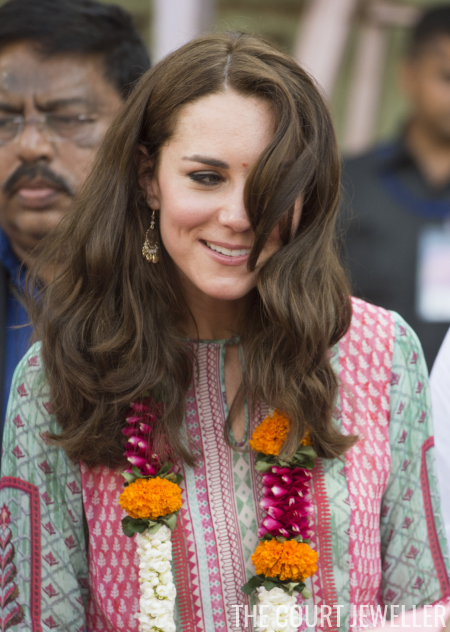 The earrings moved nicely while Kate played cricket in one of Mumbai's largest public parks. And they definitely glittered in the bright Indian sun! Kate wore the same earrings and jewels for a visit later in the afternoon to the historic Banganga Water Tank. One more look from the Banganga Water Tank, where William and Kate met with representatives from SMILE. 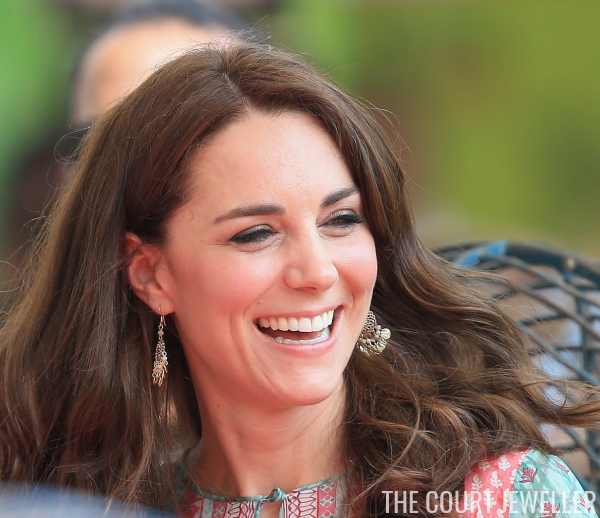 What do you think of Kate's affordable new earrings?